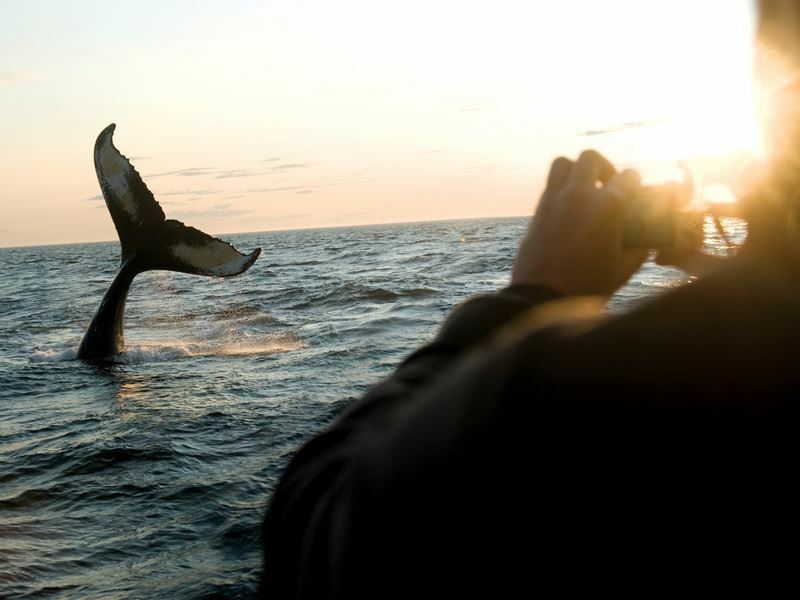 Canada is home to some of the world’s best places for whale watching, and the province of Nova Scotia truly offers the best of the best. In fact, the activity is really a must-experience for any visitor, with the opportunity to see the finbacks and minkes that arrive in May and the humpbacks that come in June, all of which stick around through the summer and even into October. Breaching is the most spectacular of all whale behaviours. To witness these magnificent creatures breaking through the surface of the water, lunging up toward the sky and then returning with a plume of water and a loud splash, is truly an experience of a lifetime, though just seeing the whales “spout,” which can be as high as 13 feet, is sure to make your heart pound too. The waters that surround Nova Scotia are home to so many whales in the summer, you may see these spouts all around you. The two essential ingredients for a successful whale watching experience are planning and patience. Planning, because you’ll need to make sure you’re in the right place at the right time, and patience because whales can be tricky to find, though going with an expert guide who knows just where to spot them means you’re likely to enjoy a high rate of success. The best viewing points tend to be along the Cabot Trail in Cape Breton and the Bay of Fundy, but there are a number of other good spots throughout the province. The Cabot Trail is a 185-mile loop around the tip of Cape Breton Island that’s often ranked among the world’s most breathtaking drives. 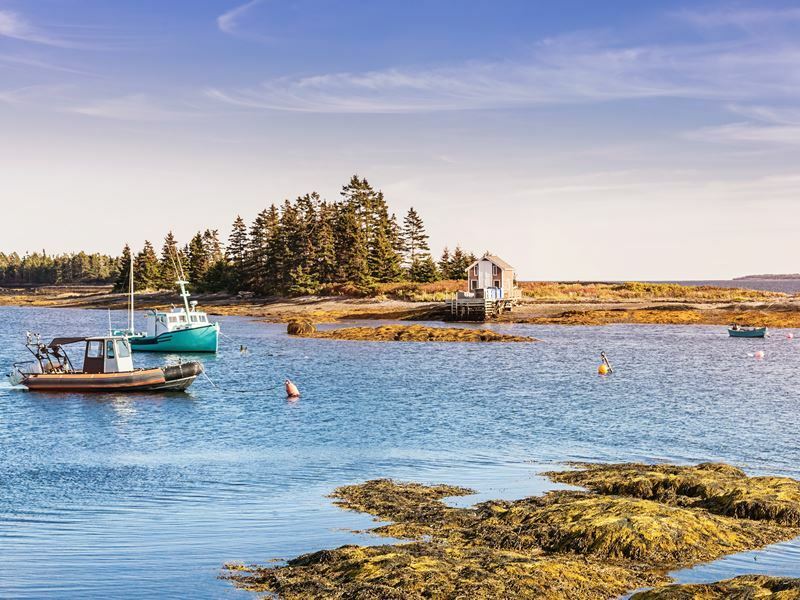 It boasts awe-inspiring scenery along the Atlantic Coast with lots of small town seafood stops that are renowned for mouth-watering fresh lobster and seafood chowder, as well as countless hiking trails, and the chance to spot whales along the way. The best place to see them from shore is around Pleasant Bay and Ingonish, where both minke and pilot whales are common, and you may be able to spot the occasional humpback too. The Ingonish area is known for its striking mountain and coastal scenery, with beautiful sandy beaches that offer swimming during the warmer months of the year and numerous hiking trails that will lead you to highland ascents and coastal headlands. Getting out on the water with a guide by boarding a whale watching cruise means you’ll have the opportunity for much closer encounters, with the curious animals often drawn near the boats to see what all the excitement is about. Some boats have hydrophones where you can even hear them “singing” too. 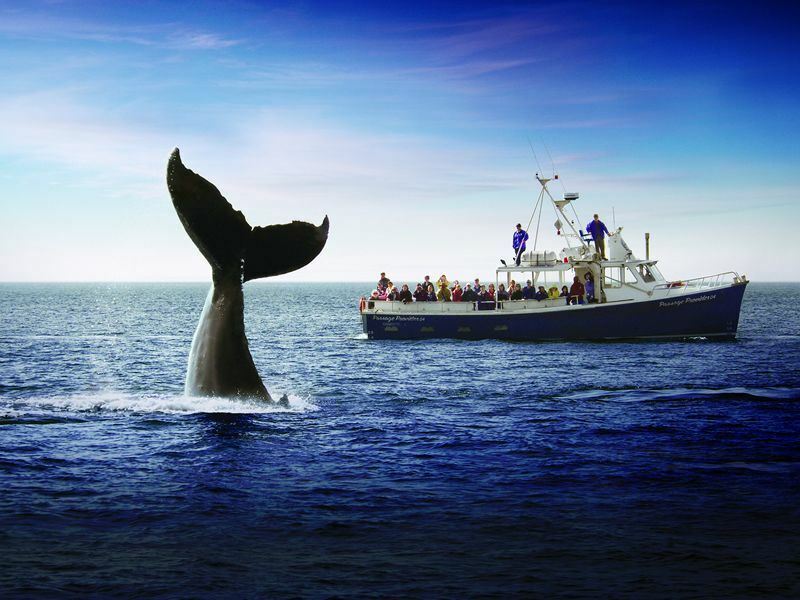 Whale watching excursions can be booked on a variety of boats including, rigid hull zodiacs, or passenger cruise vessels. The larger, passenger cruise vessels are ideal for a family-friendly experience and open to all ages, while the zodiacs offer more of a thrill, being fast and low to the water. This also means seasickness is less likely on this type of watercraft, as there is little to no rolling motion, and they can also get closer to shore to observe waterfalls, interesting rock formations and more. A number of outfitters offer excursions from both Ingonish and Pleasant Bay, where not only fin, minke, humpback and pilot whales can be seen, but dolphins, seals, puffins, leatherback turtles, bald eagles and more. The Bay of Fundy is a true national wonder, home to the highest tides on Earth, with some 100 billion tons of water rising and falling here twice each day. The tides sculpt the coastline which hosts pretty deserted beaches and dramatic sea cliffs, uncovering semi-precious stones and fossils. But the bay isn’t just famous for its tides and geological discoveries, it’s renowned for its marine life. 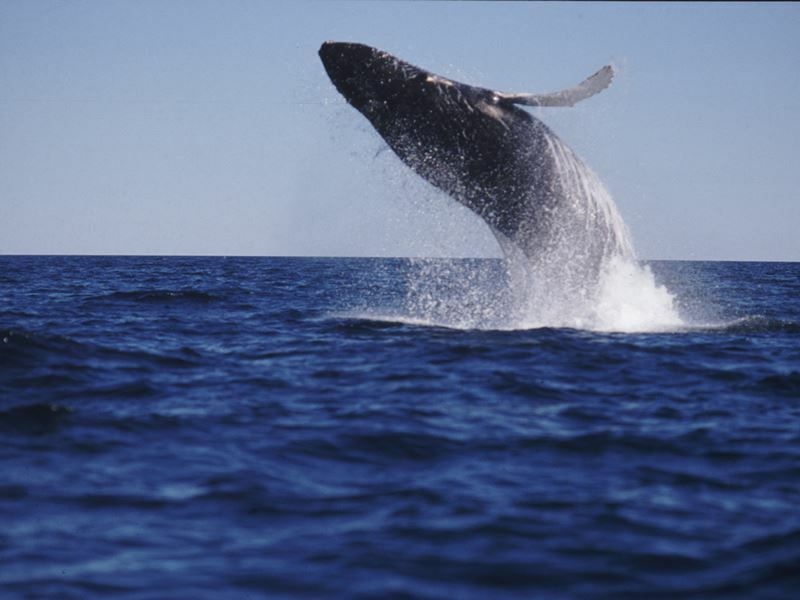 In fact, at any one time between June and October, there can be as many as 300 whales here. August is peak time, when humpback, finback, and minke sightings are especially common. If you’re lucky, you may even catch a rare glimpse of an orca, blue whale or pilot whale too. 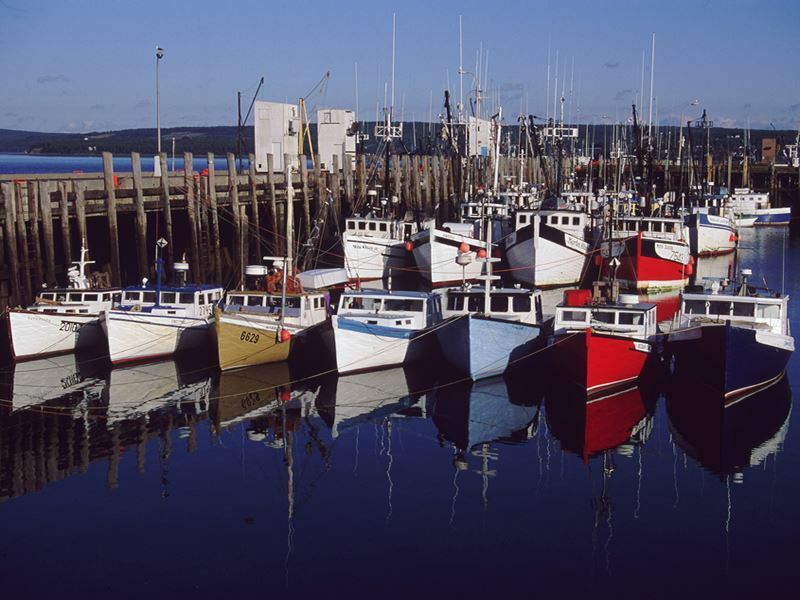 The best places to take tours in this area are from Digby and Brier Island. As with the Cabot Trail outfitters, you’ll be able to choose from large family-friendly cruise vessels as well as zodiacs, either of which are narrated by expert researchers and naturalists who will share their extensive knowledge of the marine life in the Bay of Fundy as well as the history of the area. Brier Island marks the entrance to the bay and is considered a crown jewel in the province, hosting one of the richest marine habitats and coastal environments on the planet, as well as being home to a remarkable variety of flora and fauna, and industrious seafaring people. Rock hounds can even discover jasper, amethyst, quartz, agate and zeolite along the rocky shores. If you’re visiting the South Shore, the picturesque town of Lunenburg, located on a harbour on the Fairhaven Peninsula, is the place to go. Known as one of the most beautiful towns in all of Canada, it was designated a UNESCO World Heritage Site for its preservation of local culture. Brightly coloured 18th and 19th century buildings hug its shoreline, and it’s also home to the famous Bluenose Schooner, which is pictured on the Canadian dime. A number of whale watch tours leave from Lunenburg’s historic waterfront between May and October, taking passengers out into the water where humpbacks often come so close you can almost touch them, while fin, pilot and minke whales are commonly spotted too. There are also a wide array of birds to see, including the adorable puffin, black guillemot, terns, gannets, shearwaters and razorbills, while a large population of seals can be seen lounging around a reef soaking up the rays of the sun. 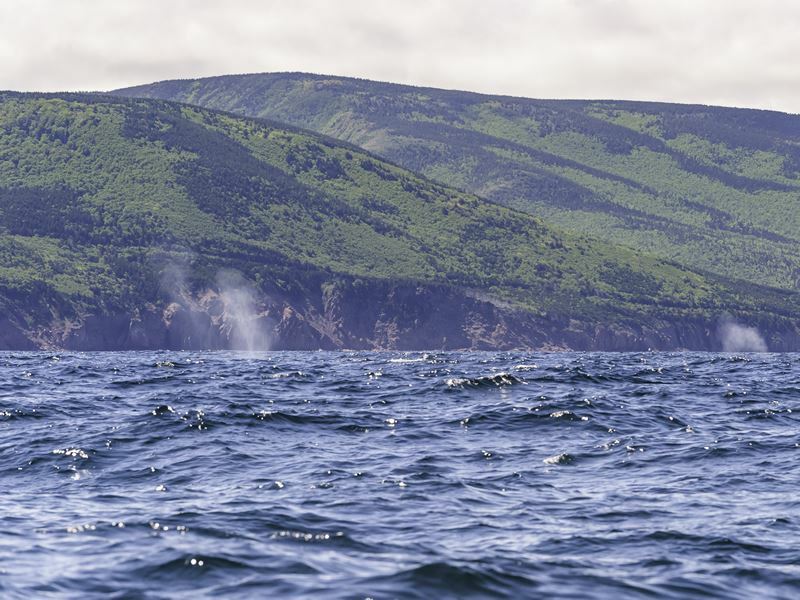 If your visit to Nova Scotia only includes time in Halifax, there are whale watching tours that depart from here as well, though the Cabot Trail and the Bay of Fundy are the very best bets when you have your heart set on seeing whales. The capital of the province, it offers convenience, but whales aren’t spotted as often in the waters just out of Halifax Harbour, though you may have the chance for other unforgettable experiences by signing up for the Nature & Whale Watching Cruise. Located where the Atlantic meets the cliffs of Chebucto Head at the mouth of the harbour, the waters are rich with all sorts of marine life. You may spot minke or fin whales, and you’re likely to see sunfish, seals and all sorts of birds. If you don’t see whales, you’ll still appreciate the experience of being out on the water, and you’ll also get to see the crew pull up a lobster trap to teach passengers how to handle a lobster and its snapping claws. They explain how these creatures live – and, you can feed the many different seabirds that arrive hoping for a bite of that delectable meal. 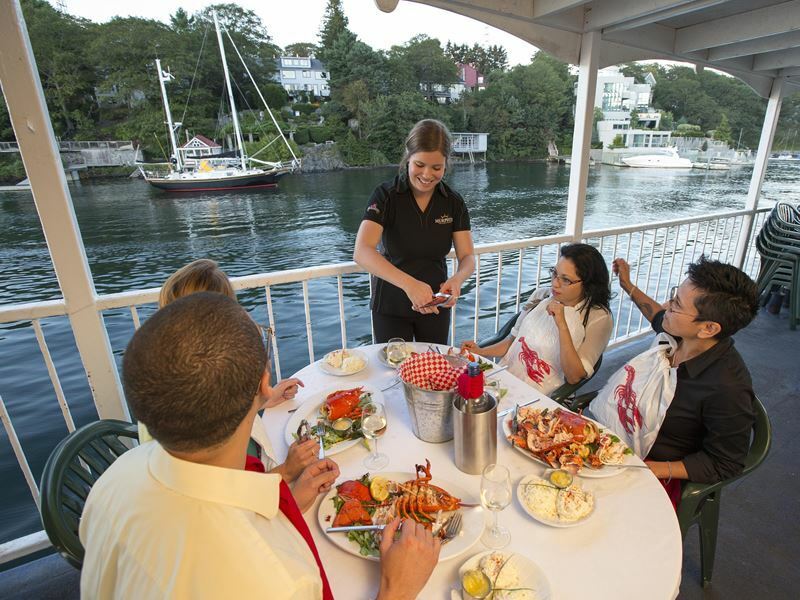 While you’re in Halifax, one of Canada’s oldest cities, you can also enjoy gazing up at its impressive historic architecture, exploring the many museums and sampling the outstanding fine dining scene, with many menus featuring fresh seafood as well as ingredients fresh from local farms.